Join 1000+ games industry professionals in London, UK on May 28-30, 2019. Submission to Indie Prize closes on March 20. 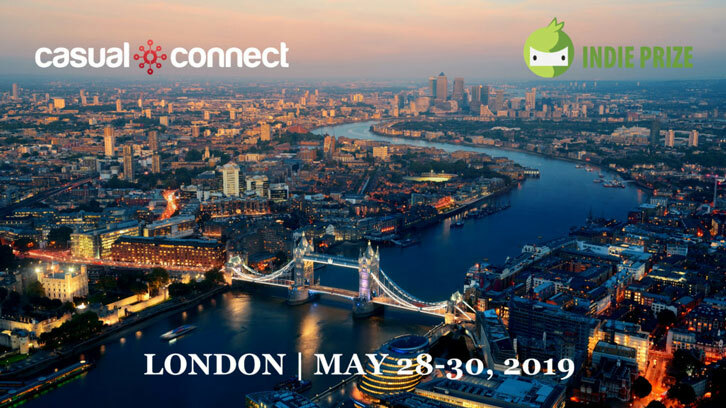 After a successful event in 2018, Casual Connect, organized by CGA and Greenlit Content, is coming back to The Queen Elizabeth II Centre, London, UK on May 28-30, 2019. At Casual Connect Europe 2019, you’ll have unlimited access to the meeting system to network with games industry professionals like yourself. All attendees get access to three days of lectures, official networking parties, and 90 of the world's best indie games with developers. The venue will also feature a large expo area where you can talk one-on-one with industry-leading companies. SCHEDULED CASUAL CONNECT EVENTS IN 2019.